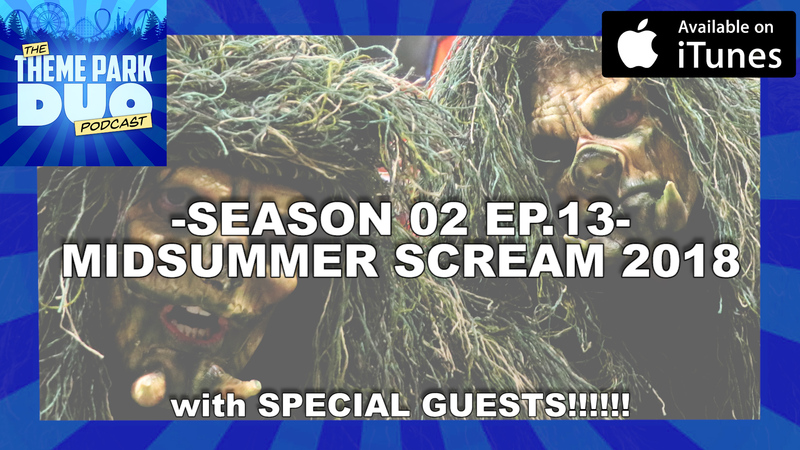 On this weeks episode, The Duo go to Long Beach California to attend Midsummer Scream 2018! The massive convention celebrates anything and everything Halloween for the fans across Southern California and beyond! The Duo talk about their experiences in panels for Queen Mary’s Dark Harbor, Six Flags Magic Mountain’s Fright Fest, Knott’s Scary Farm, Halloween Horror Nights, Warner Bros. Horror Made Here, Hocus Pocus and so much more! They are also joined by many special guests from many of your favorite Haunts and experiences from here in Southern California and out in Universal Orlando Resort! This is a MEGA PACKED Halloween Episodes and we hope that this truly puts everyone in the spirit for this upcoming Halloween season!